Important: This integration is only available for customers using the Legacy versions of Zendesk Chat. For help determining which version you have, see Determining your Zendesk Chat account version. If you use Prestashop, follow the steps below to add the Zendesk Chat widget to your site. Download the Prestashop HTMLbox module available here. In Prestashop, click Add new module. Click Choose File and find the HTMLbox file. 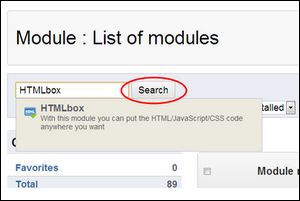 Go to Modules > Modules and find the HTMLbox module. When the module is installed, click Configure. Paste your Zendesk Chat live chat script in the HTMLbox configuration field. Note: To find your embed code, see this article. Note: The Zendesk Chat for Prestashop version 1.6 integration is only supported for standalone chat accounts. Accounts integrated with Zendesk Support cannot use the integration. Download the Zopim module available here. 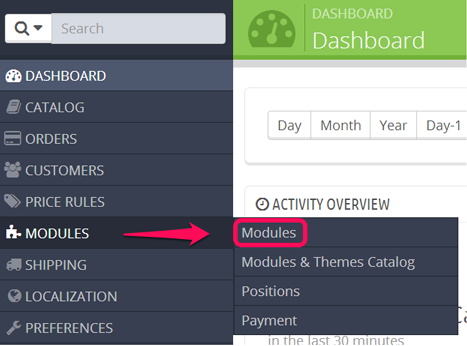 On the Prestashop admin page, select Modules > Modules. Click Add a new module. Click Choose a file and select the Zopim module. Find the Zopim module from the list of modules and click Install. Once it's installed, click Configure. Enter your Zopim widget ID from your Zopim live chat script in the field indicated. Note: The Zopim widget ID is the 32-digit sequence following v2.zopim.com in your live chat script. To find your Zopim live chat script, see this article.